​OK Becca went home from the GAGC Family picnic! 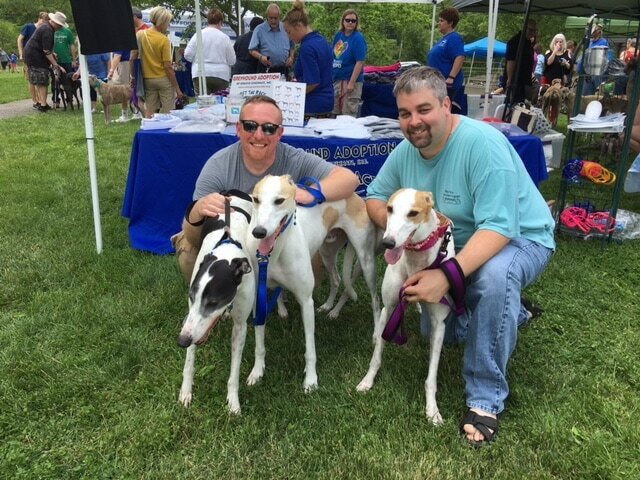 You know sometimes it is just meant to be, David and Chris who are from Maineville came to the picnic with their look alike GHs, Fiona and Axel, saw Becca in the available foster dog pen and asked to walk her around, do I need to say more. 珞She went home with this greyt family and will definitely enjoy the rest of her life, she is a very lucky girl!